With roots in rural Virginia, Bob came to Colorado in 1983, established transportations businesses in Denver, and lived on Lookout Mountain above Golden. Wanting to get “deeper into the mountains, while avoiding the hustle and bustle of resort towns,” he and his then spouse, along with Evergreen friends, were checking out ranching properties around the state. “We’d never heard of Westcliffe, when it was mentioned as a place to look into when we realized we weren’t taken with some property in Rye,” he recalls. When they asked the realtor where Westcliffe was, he indicated “well, right over the mountain, west.” They came over the mountain, and the rest as we say, is history. Yet what a notable history it has been for him. A fairly successful entrepreneur, Bob initially parlayed his business acumen into a hay purchase and delivery trucking company here. Raised on a dairy farm, he realized early that “in trucking you can occasionally have a day off.” Although to hear him detail the way he translated his experience with a 120 plus semi cross country trucking and logistics—“we did logistics before it was cool,” he chuckles—company into his one 28 foot gooseneck trailer outfit, one wonders when that “day off” ever occurred. Bob delivered hay from the Valley all along the Front Range, into the mountains, and as he built up business, into New Mexico and Arizona. 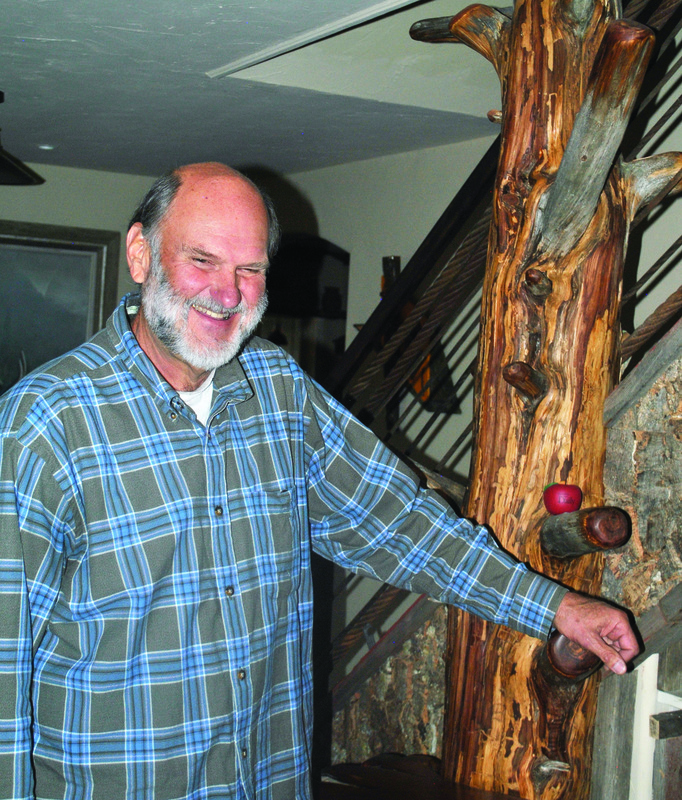 His equally enterprising neighbor and friend, ACE Hardware owner and now Westcliffe Mayor, Paul Wenke, was still located on Main Street, and realized Bob was running an empty rig back from Denver with some frequency. The consequence: a trucker’s dream—coming home with ACE store deliveries. “You don’t make money hauling air,” Bob chuckles, recalling the days of his first work in the community. He sold the business about five years ago; the new owners report to him on occasion of former clients still inquiring after him. Fulton seems to be that kind of guy: you don’t forget him. Large in stature, he seems to have settled into a gentleness of spirit, while largeness remains with his visions, passions, and service to the community. His local commitments were kind of accidental. 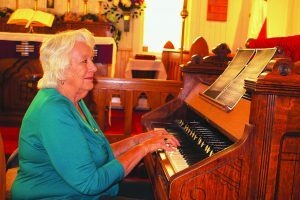 He was encouraged to volunteer for the Beckwith board of directors shortly after moving here, eventually stepping off it in order to oversee the historical restoration of the Ranch itself. In those days he also accepted an invitation from Charles Proctor, active with the San Isavel land Protection Trust, to assist him and several other volunteers for an afternoon of restoration work at the Kennicott Cabin, just below Beckwith on Highway 69. That turned into two weeks of volunteer labor, and was the birth of a passion Bob sustains to this hour, with his Back Again Restorations company. Through his initial service with the Beckwith and Kennicott restorations, Bob became familiar with Harrison Goodall, one of the country’s expert historical restoration architects and consultants. His vision, passion, service, and growing experience brought him contracts with the US Forest Service and Parks and Wildlife. His listing of the projects he has been engaged in is a walk through Colorado, New Mexico, Utah, and Wyoming wilderness history and discovery: the Tres Piedras home of Aldo Leopold, first forest ranger in the Carson Forest, appointed 1912; closer to home, the 1908 Mingus Cabin, just over the Wet Mountains on the south side of Bigelow Divide; right at home, the Willow School; the Brown Cabin, in Iron City, next to St. Elmo; and perhaps the most challenging of all, the 12 summer restoration and rebuilding of the Fairview Fire Tower at 13,200 feet in Pitkin County. For the latter he carried lumber on his back up the last 1200 feet of elevation. He applies the same practical notion to historical restoration in the Valley, citing the fact that historical tourism is on the rise. “To see, to experience; there’s no match, no video, no photo that can duplicate being there.” And he moves on with how our own Custer County kids could hold a class with their teacher at Willow School, who early on could be motivated to study historical restoration and return home to make an economic go of it in the Valley.